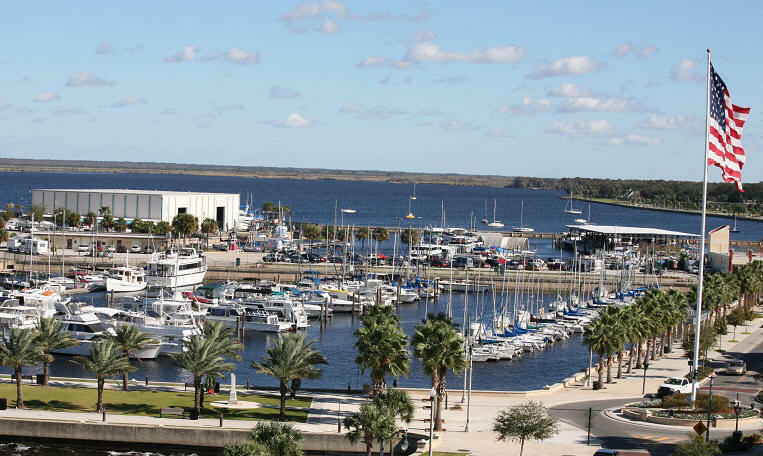 Monroe Harbour Marina is a large marina with two basins situated on two sides of a peninsula. This is a fresh water facility with no tide or current. Ashore, historic downtown Sanford with its shops & historic buildings is a few blocks away. As you enter Lake Monroe, head east and go to junction channel marker "8", take the channel heading southeast to marker "5", this will place you at our west basin. Please contact business before arrival to verify all information and discounts. Members must present their valid BoatUS Membership card on arrival in order to receive discounts.